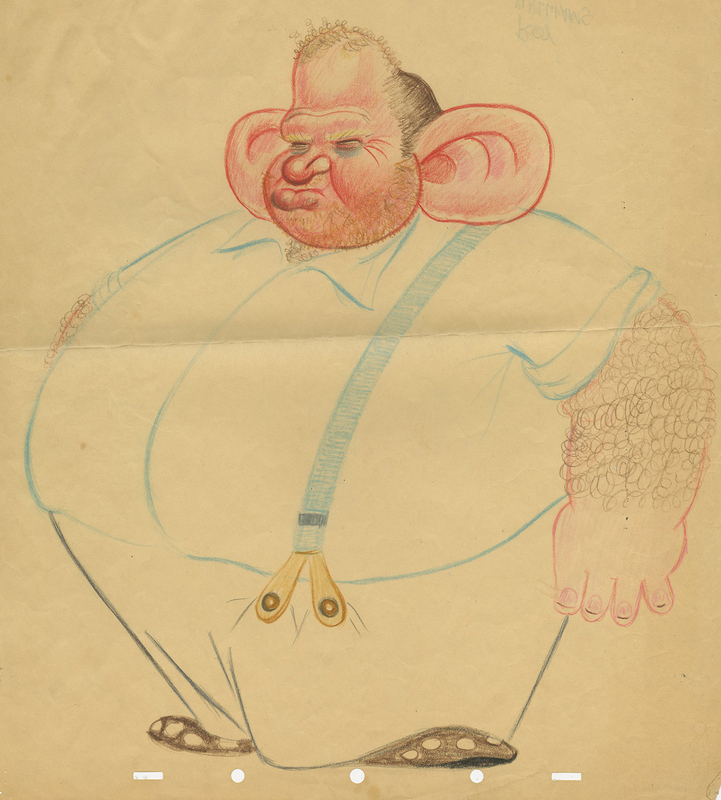 This is an original T. Hee gag drawing created while he was working at the Walt Disney Studios, likely in the 1950s. 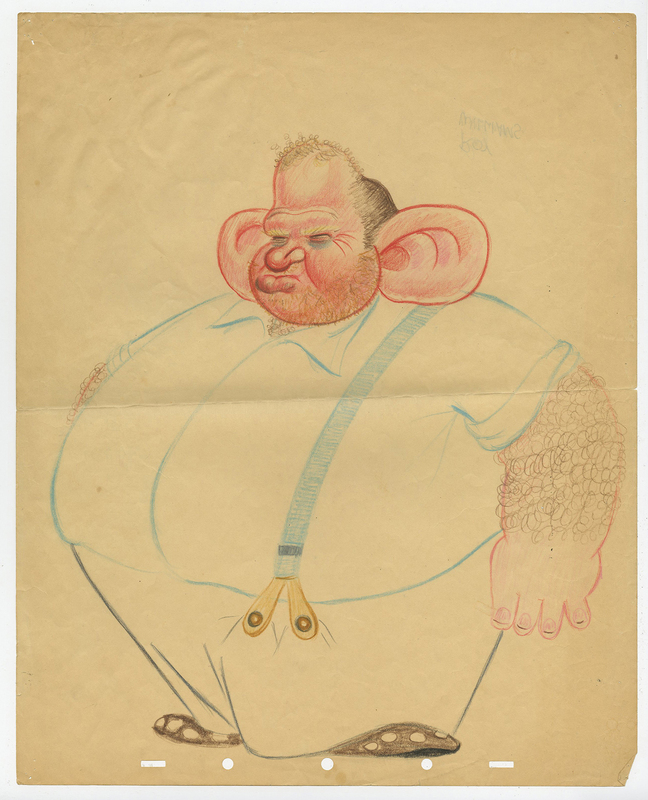 This hilarious sketch features a caricature of Roy Williams and was created while the artist was having a little fun. The overall measurements of the piece are 15.5" x 12.5" and the image itself measures 12.5" x 11.5". The drawing is in great condition with a horizontal crease running through the center of the sheet.